To register for the Lake Louise Audi FIS Ski World Cup as a volunteer or contractor you first need to set up your personal PROFILE with Winterstart Events Ltd. and start your account. You’ll only need to do this once. You will be able to LOGIN to your account by using your email and the password you create. You can update your PROFILE at any time. 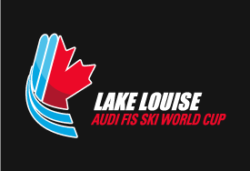 You have to complete this form first and then you will be able to register for the Lake Louise Audi FIS Ski World Cup. If you already have a PROFILE you can LOGIN. Volunteer Gifting If you volunteer five consecutive days or more, or seven overall days from the first day of Build Week to the last day of Teardown, you are entitled to a volunteer gift provided by Winterstart Events Ltd. It could be a jacket, mid-layer or ski pant. It could also be a piece of luggage or something else useful and valuable. If you commit to 10 days or more from the first day of Build Week to the last day of Teardown you also receive one gift card toward the purchase of official event merchandise. Gifts vary from year to year and sizing may be a requirement. This is just general information that will help us plan accordingly. If you are a contractor you do not qualify for volunteer gifting.